Zach joined Flinn Ferguson in 2014 as an intern with the Eastside tenant advisory team. In 2015, Zach became a full time associate broker with a focus on providing high level real estate strategies through negotiating leases that minimize up-front costs and maximize concession packages. He is committed to providing creative solutions while understanding factors such as location, culture, and flexibility. 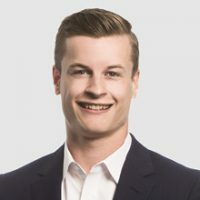 Zach graduated with a Bachelor degree in Accounting from Washington State University, which has developed his representation with a unique expertise in financial analysis.